This is a rare load of AllSteel Stride Cubicles located in California. These 6X6 used cubicles come with one two darer lateral file, one over head storage bin, one pencil drawer and paper management. 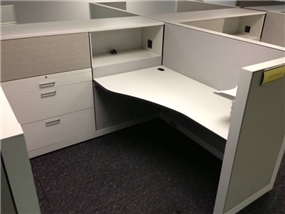 These office cubicles are 50″ tall. Please call or email us for additional photos and pricing.